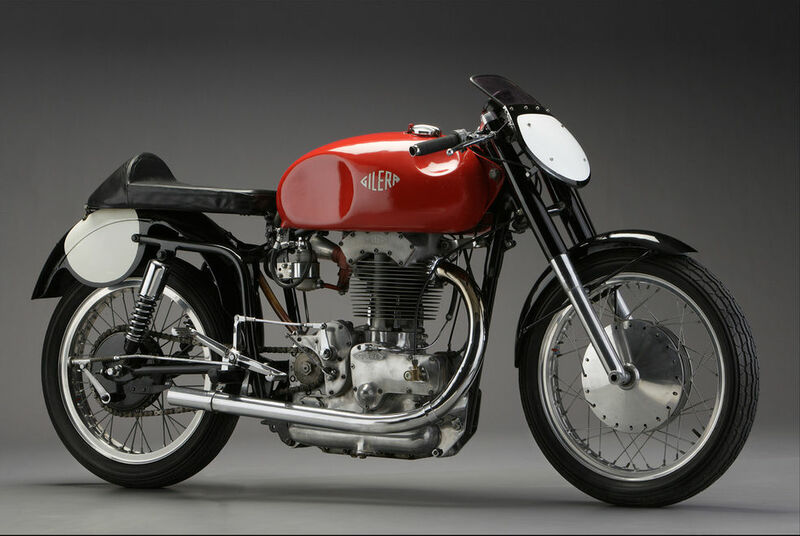 Gilera was a big player in the realm of 1950s motorbike manufacturing. After that, the firm met with mixed fortunes. Gilera's Fifties flagship - the Saturno - was launched in '46. Rolled out in 'Sport', 'Touring', and 'Competition' modes, the Saturno would sell well for years. The Saturno 'production racer' was a hit both on road and track. Competitive for many seasons, it remained so for some time after its production run finished - at the fag-end of the '50s. In road-going form, the Saturno stayed tethered to the tarmac - thanks to its telescopic forks, and vertical rear shocks. Indeed, it would gain a reputation as a 'performance bike' of its day. Towards the end, Gilera was linked with Piaggio, Vespa - and the scooter scene, generally. Illustrious though those names still were, Gilera's glory days were behind it. Bikes like the Saturno, though, still shone a light for past success.